More than two years after the deadliest hot air balloon crash in U.S. history killed 16 people near Lockhart, the House of Representatives approved new legislation Wednesday that would mandate medical exams for commercial balloon pilots. The vote moves the measure a step closer to becoming law. The U.S. Senate will now consider the legislation. Health screenings for balloon pilots aren’t required by the Federal Aviation Administration, and the agency has resisted calls for stricter oversight after a large commercial balloon piloted by Alfred “Skip” Nichols struck high-voltage power lines on July 30, 2016, killing Nichols and all of his passengers. 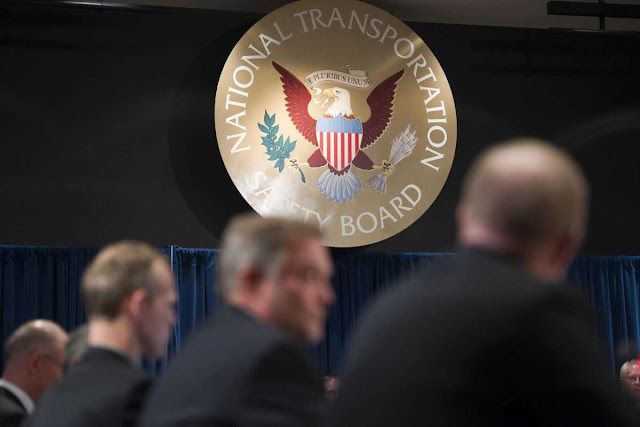 Federal investigators with the National Transportation Safety Board blamed the crash on Nichols’ poor judgment; his myriad health ailments and medications; and the FAA's policy of exempting balloon pilots from mandatory medical exams. The FAA is considering a recommendation by the NTSB to require exams for commercial balloon pilots but so far hasn’t taken any action. The bipartisan legislation approved Wednesday in the House would force the FAA to revise federal regulations within 180 days to require annual screenings. Introduced by Texas congressmen Lloyd Doggett, Will Hurd and former U.S. Rep Blake Farenthold, the measure was attached to a much larger bill to fund the FAA that lawmakers overwhelmingly supported. U.S. Sen. Ted Cruz has introduced a similar amendment in the Senate. Patricia Morgan, an outspoken critic of the FAA whose daughter and granddaughter from San Antonio died in the balloon crash, said she’s waited a long time for the federal government to do something — anything — to protect balloon passengers from troubled pilots like Nichols. Morgan said she’s not sure whether the new legislation goes far enough, and she wouldn’t be surprised if something happened to derail it from becoming law. “Until I see it — until I know it is actually signed by the president — I won’t believe it,” Morgan said. The Balloon Federation of America, an industry trade group, opposed the legislation, arguing that voluntary measures can better improve balloon safety. A message left with board president Cheri White wasn’t returned Wednesday. To obtain a medical certificate from the FAA, pilots must undergo a physical exam, disclose any ailments, and grant the FAA permission to check their driving record for any alcohol or drug-related offenses. Nichols had a string of DWI infractions on his record and wasn’t legally allowed to drive a vehicle. The fatal crash in Texas devastated families of the victims and orphaned children. Morgan’s daughter and granddaughter, Lorilee and Paige Brabson, had bought the balloon tickets for a belated Mother’s Day celebration and both left behind children. Other passengers on the flight included Brian and Tressie Neill, who lived in Helotes. They were celebrating their wedding anniversary and had two daughters. Matt and Sunday Rowan were a San Antonio couple who had married five months earlier. They were devoted to Sunday’s 5-year-old son, Jett. An investigation by the NTSB concluded that Nichols decided to fly despite warnings that the weather would worsen with clouds and fog, limiting visibility. On the morning of the balloon ride, Nichols was on a cocktail of prescription medications such as Valium, Prozac and the painkiller oxycodone, according to the NTSB. One muscle relaxant he was taking warned users not to operate heavy machinery. Nichols suffered from ailments that included depression, chronic pain and Attention Deficit Hyperactivity Disorder — which might have raised red flags at the FAA if he had been required to go through a medical exam like pilots of other types of aircraft, according to the NTSB inquiry. Flight for hire? Medical. Makes sense to me. I am finding that most people who have problems that interfere with their livelihood are simply ignoring or hiding the problem. I investigate stuff like this and I have found it is best to know the answer before the question gets asked. It is similar to the frog simmering in hot water until the inevitable. If I/you fly anything that puts your body or anyone else's body in the air you need to be certified medically fit at least at some point in your recent history. That is the objective oversight. If I/you fly anything that puts your body or anyone else's body in the air you need to self-assess at the time to determine if you are ready for that responsibility. That is the self-assessment oversight which is actually more important. It is hard to believe that a trade industry would oppose a medical assessment. It is the very liability one wants to avoid having to answer for. Who knows, insurance rates for ballooning might actually go [down].